Though it may feel dated, many of Apple's ‘i’ products carrying significant branding value that could mean the i-Name will stick around for a while. The discovery that in iOS 11.3 Apple is renaming the iBooks app to “Books” seemed... not particularly revelatory. We’ve all read about how Apple’s been slowly stripping away the lower-case-i prefix from older products. New products and services are a generic word preceded with the word “Apple,” as in Apple TV and Apple Watch. This is the conventional wisdom. But is it true? Apple’s made no pronouncements itself about it. Yes, it seems the “i” prefix introduced with the iMac 20 years ago has fallen out of favor. (I’m reminded of the time when Steve Jobs said that the “power” prefix of the PowerBook and Power Mac had gotten tired.) And yet that same prefix continues to appear in front of some of Apple’s most popular products and platforms! Meanwhile, Apple has announced new hardware—like AirPods and the HomePod—with absolutely no sign of either the letter “i” or the Apple prefix. Even with the departure of the “i” in front of iBooks, the Apple product catalog is still littered with i-names: iOS, iPhone, iPad, iMac, iCloud. It’s possible that Apple is biding its time and will one day rename all of those products—for several years I’ve been getting emails from people who are absolutely sure that the next iPhone will be called Apple Phone—but it seems highly unlikely to me. The iPhone, and the iOS platform it powers, are incredibly popular and recognizable brands. The iPad, though less successful than the iPhone, is also a known quantity. I can’t see Apple ditching all of that history, success, and brand recognition for the sake of some kind of inside-baseball corporate rebranding effort. Yes, it seems like Apple has decided that not every single app it creates needs to be slapped with the letter “i”. iPhoto became Photos, iChat became Messages, iCal became Calendar, and if we wait around long enough iMovie will probably turn into a pumpkin, too. (Maybe one day iTunes will actually get split up into Music and Podcast apps like on iOS, and the store where Apple sells media will get a more prosaic name.) Then again, Apple’s been simplifying app names in general—take Contacts, which used to be Address Book, not iContacts. 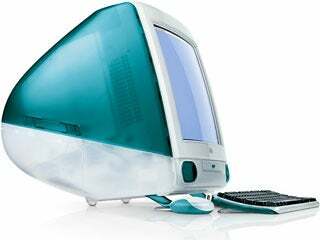 The one that started it all: the original iMac. But what about iCloud? Apple’s changed the name of its online services offering before—remember MobileMe?—but does it really need to change it? And of course, there’s the iMac, which after 20 years practically defines the desktop Mac experience. If you asked me last year I would’ve told you that it didn’t seem ridiculous that Apple might just change the name of the iMac to “Mac” in the future—but now that there’s an iMac Pro, I’m a little less sure of that one. Perhaps Apple has decided that this weird in-between state of product naming is the best place for it to be, despite its awkwardness. But how can we explain the trend toward Apple [blank] products, like Apple TV and Apple Watch and Apple Music? It’s complicated. Apple is one of the world’s most recognized and appreciated brand names, so it makes sense for the company to take advantage of that. That said, Apple TV’s name is more of an accident—you may not remember this, but when the Apple TV was originally announced, it had a different name: iTV. Presumably the British broadcaster ITV had some issues with that name, and Apple had to come up with a different name. Prepending products with the Apple name frees the company up to not find a legally usable word in an incredibly crowded global product environment—the Apple smartwatch is simply Apple Watch, and that’s an effective name. These, then, are the trends: Apps with “i” names are being renamed. Some new products and services are the word Apple followed by a generic noun. There hasn’t been a new “i” product in ages. Now let me dare to buck the trend, at least for a moment. I’m not saying that this is something Apple will do, so much as suggesting that Apple’s past behavior is no proof that it will continue into the future. What if Apple made a new device and chose to add the “i” prefix in front of it? What kind of device would that be? The most prominent use of the prefix is everything related to iOS. iOS runs on iPhones, iPads, and even the iPod touch (remember it?). Every “i device” runs iOS. If you ignore the existence of the iMac and iCloud it sounds an awful lot like a consistent product naming scheme—“Mac” for Macs, “i” for iOS devices. Now imagine a laptop-shaped iOS device. I’ve made my arguments in favor of it. I’m not sure Apple will ever do it, but if they did, what would they call it? To fit into the rest of the iOS product line, wouldn’t it inherit an “i” name? iPhone, iPad, and... the new thing. What would be a good name for a laptop? Let’s be realistic. 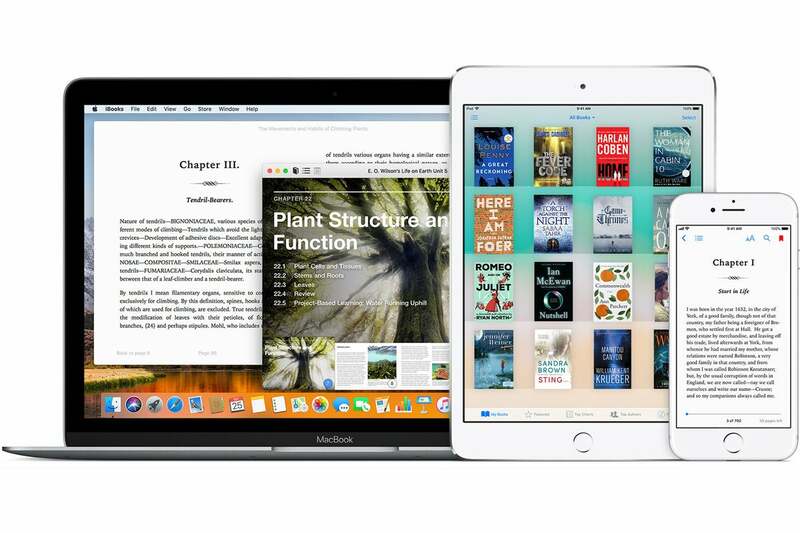 It is highly unlikely that Apple is renaming iBooks to Books just because it wants to use the iBook trademark on a third product (after the pre-Intel Mac consumer laptop of yore, of course). Occam’s Razor tells us that the simplest explanation—this is part of a larger trend toward Apple simplifying the names of its apps into nouns—is probably the correct one. And yet... if Apple did make such a product, it would be a pretty good name. Enough for me to question whether the conventional wisdom that Apple will never make another “i” product is really true.